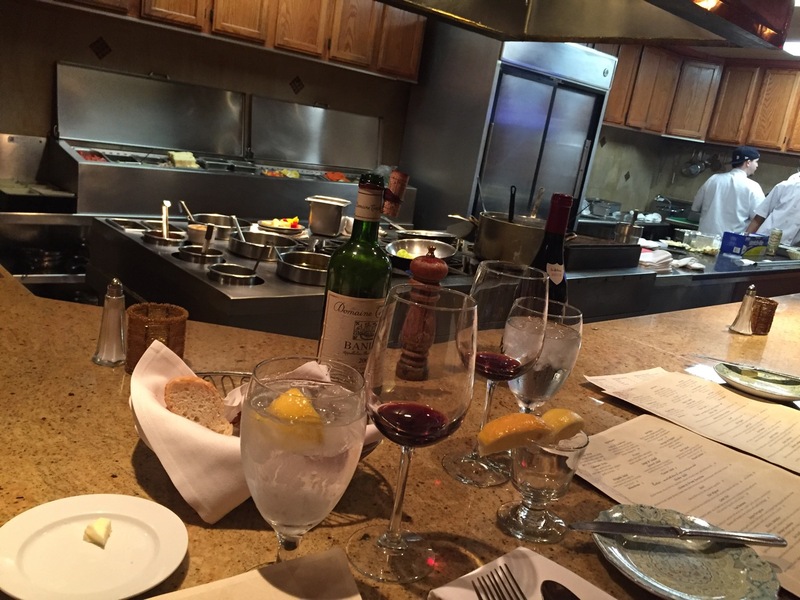 Love At First Bite: Bucci Ristorante – Eat. Rest. Repeat. We had Sunday dinner with my in-laws recently at this little restaurant in Grosse Pointe called Bucci. It’s an intimate little restaurant in an unassuming strip, with very tiny lettering on the door….we actually drove right past it the first time around. Inside, there is a bar top surrounding the kitchen, where you can sit and enjoy watching the chefs at work. The comfort of being able to see what goes into your meal really makes this place feel special and homey. 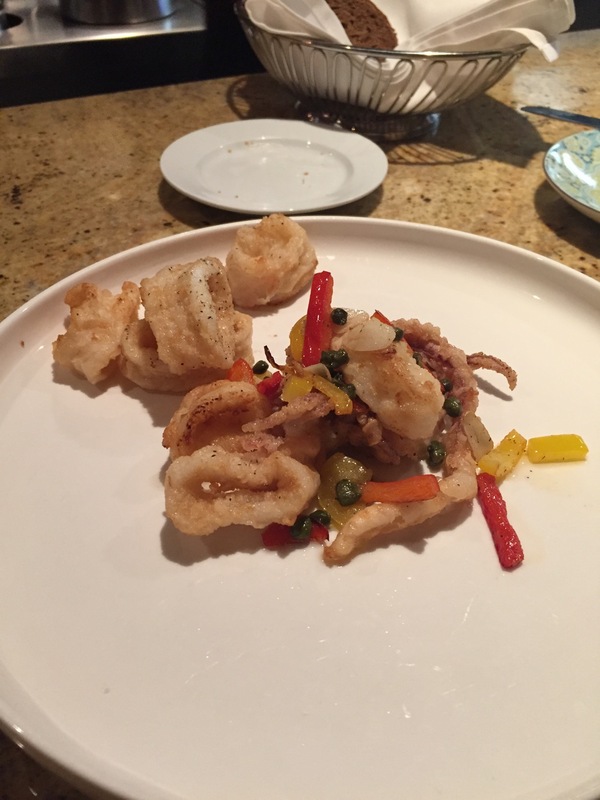 Calamari vs. octopus: I’m happy to say that the octopus was a winner. So delicately cooked, not rubbery, perfect amount of salt, wonderfully prepared peppers underneath….it was superb. The calamari was perfectly fried, but I felt it needed just a touch more salt. 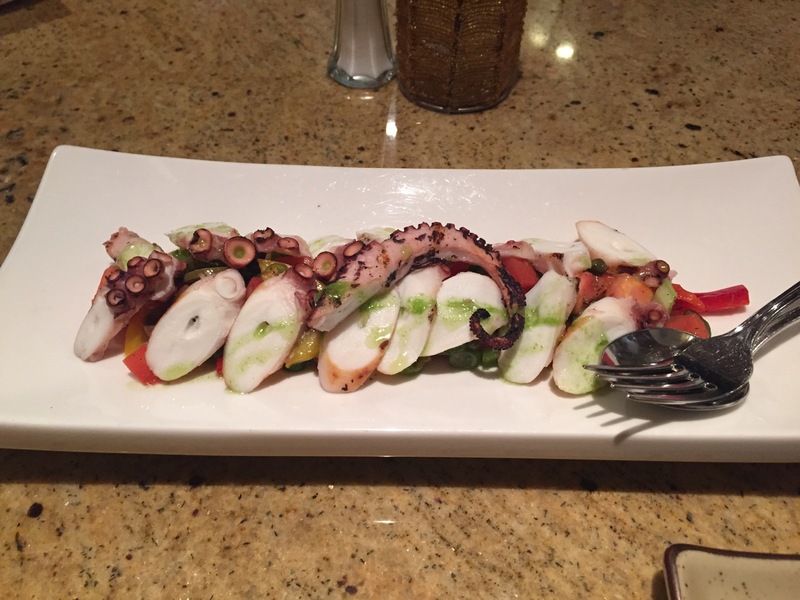 The capers helped, but it wasn’t enough for me…I enjoyed the octopus much more. 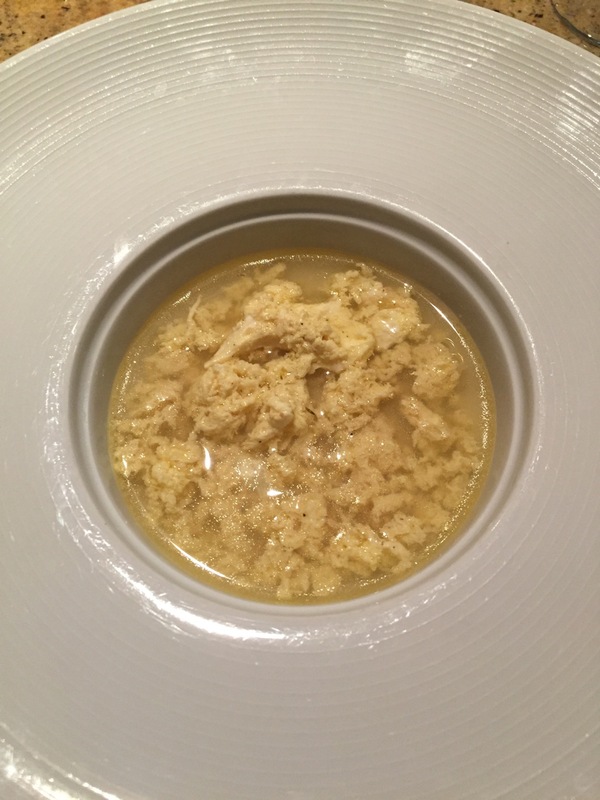 Soup Du Jour: Stracciatella aka Italian egg drop soup. I know the presentation looks a little dull…almost looks like it was served in a toilet bowl…but it was really delicious! The broth was very umami and the eggs were light and fluffy. 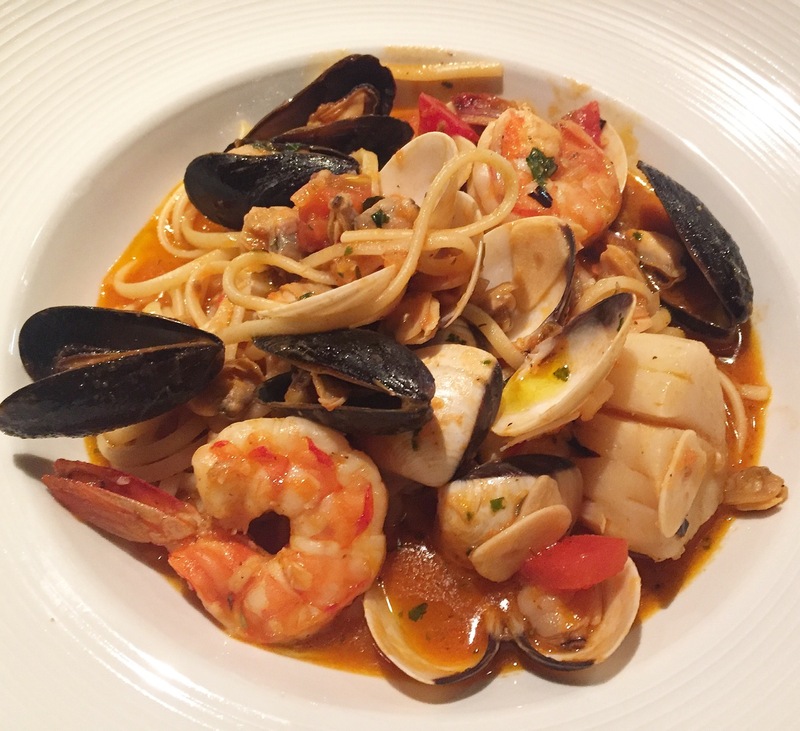 Linguini Pescadore: Mussels, clams, shrimp,, and scallops, garlic, extra virgin olive oil, splash pomodoro sauce deglazed with white wine and tossed with linguini pasta. I think the correct spelling should be “pescatore”…. This was my dish, and it was AMAZING. Okay, the shrimp were slightly overcooked, but everything else was delicious. I finished every last drop! It had a bit of spice, but just the right amount. The mussels and clams were cooked perfectly, and the jumbo scallop was succulent and tender. The noodles tasted very fresh, and everything about this was just marvelous! 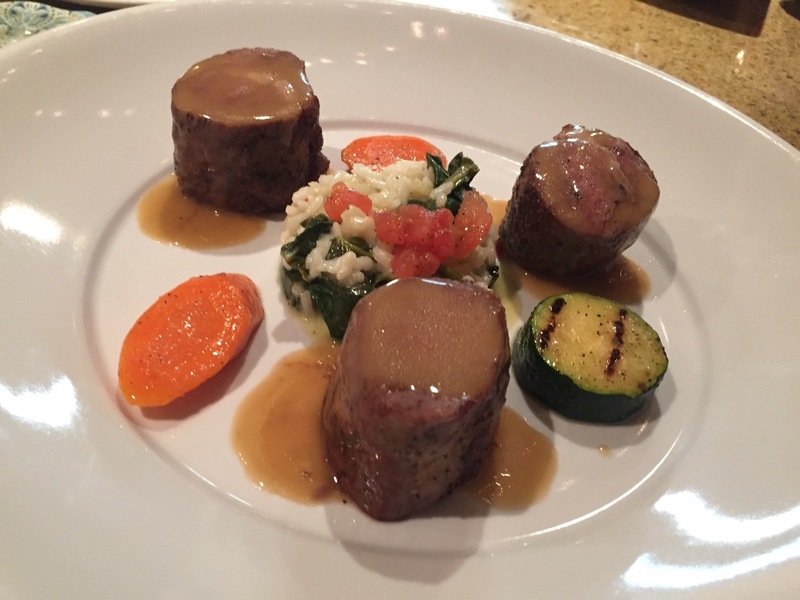 Lamb Filet: Marinated center cut of lamb loin prepared in suvee finished on char-grilled served with seasonal vegetables and demi-glace. I never knew such perfection in lamb until now. This was my husband’s entrée. Fabulously cooked, juicy, tender, pink on the inside…the gravy was flavorful, and the lamb was not gamey. 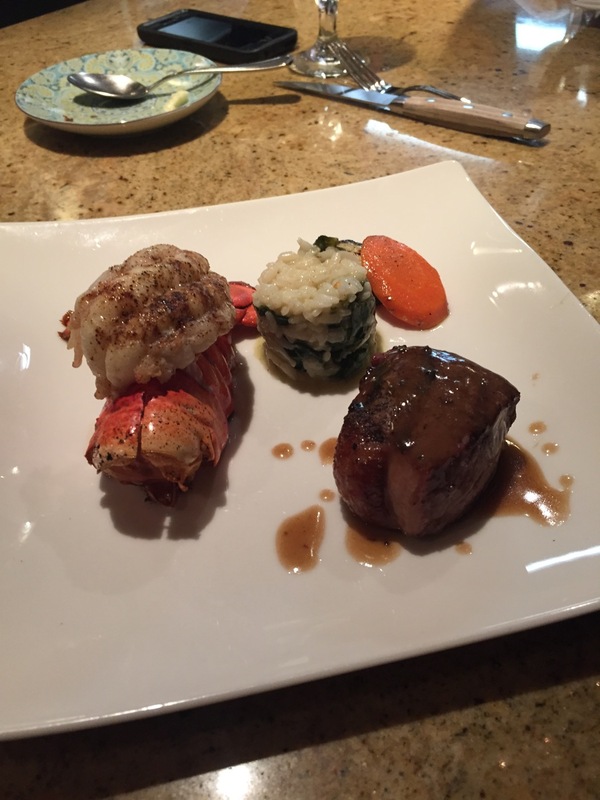 My father in law’s surf and turf…didn’t get a taste, but he said it was very delicious. Not featured is my step mother in law’s pasta entrée…I don’t know how I forgot to take a picture! 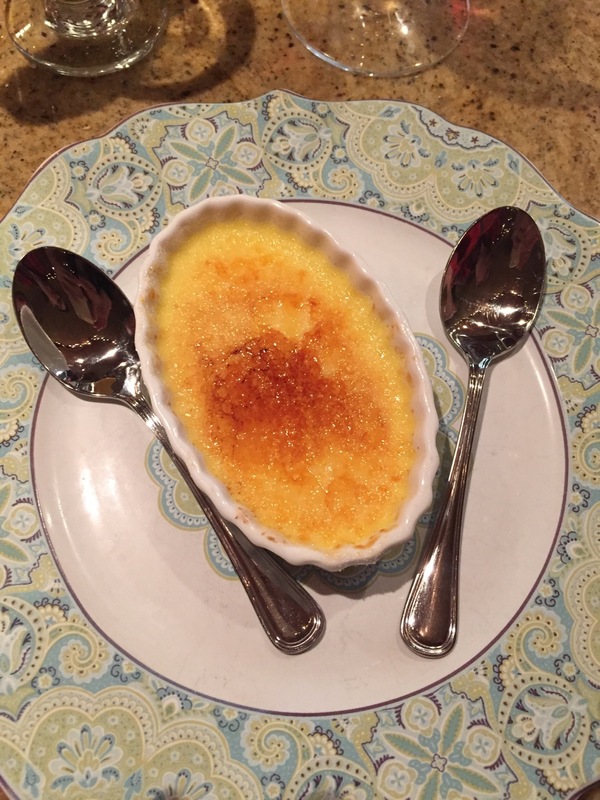 Finally, their crème brulee dessert. One word: Yum. Could have used some fruit, but we were happy regardless. I will, without a doubt, be back for more. It’s not often I find Italian food so well prepared! 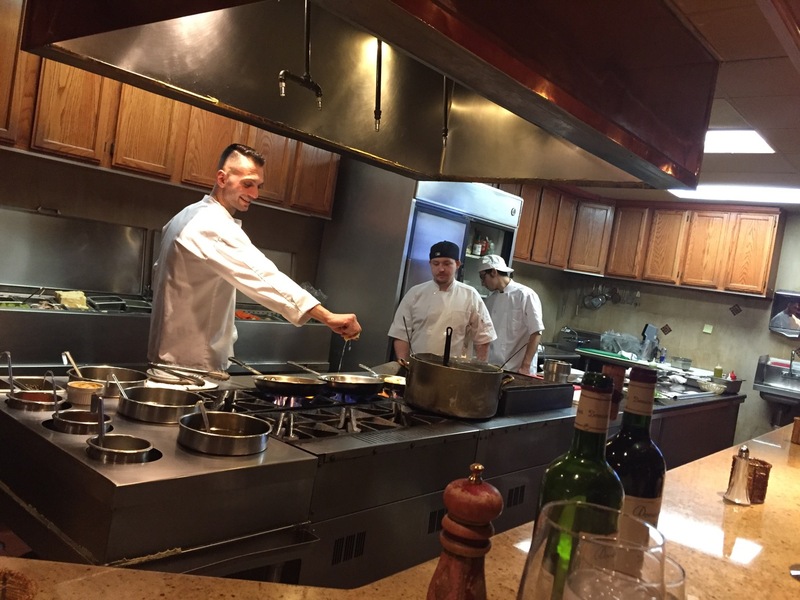 My husband and I were both thoroughly impressed, and would recommend this to anyone looking for a great Italian experience!